Yet despite his continued superstar status almost 200 years after his death, nearly everything we associate with him is wrong. Then there was the famous pose. Ask any school child to imitate Napoleon, and the kid will stand tall and thrust a hand into his shirt. It’s cemented to his identity as strongly as Marilyn Monroe’s skirt blown upward by the subway grate draft, or Washington standing in the boat as it crossed the Delaware River. A flood of reasons has been offered over the years to explain it. He had stomach or breast cancer; he was hiding a deformed hand; he was scratching an itch; he was winding his watch; he knew the heartbreak of psoriasis. One theory even claimed he wore a ring given to him by a secret lover, which he hid to keep Josephine from getting jealous. All very interesting … and all untrue. Ready for the shocker? 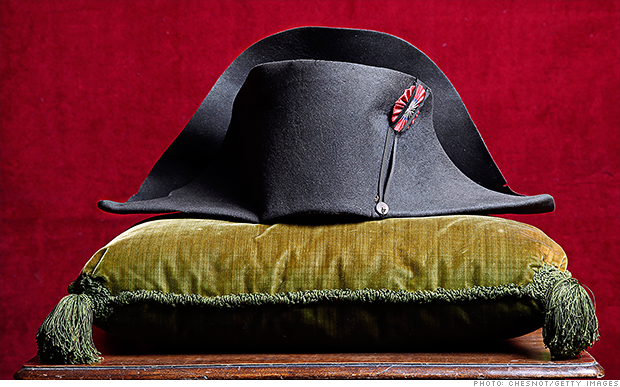 The French Emperor didn’t go around with his hand in his coat in real life. Honest! 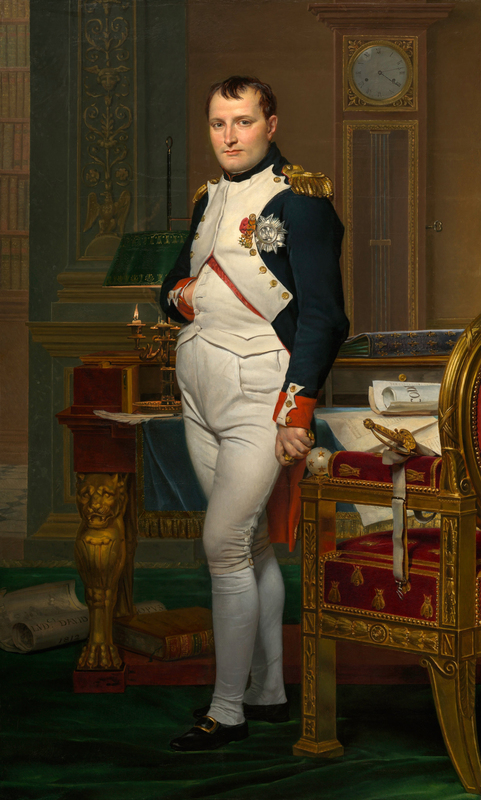 That’s right; the pose we associate exclusively with Napoleon was commonly used in portraits of the famous and powerful long before he was even born. 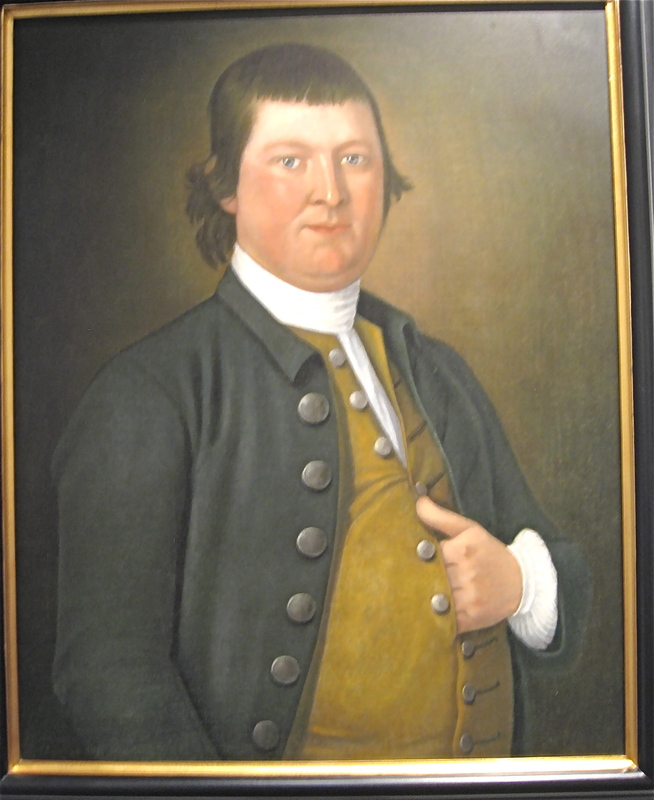 In fact, hand-in-coat (or vest or waistcoat) appeared in English and Colonial American works in the 1700s so much, some artists were accused of not knowing how to paint hands. It was used so often, it became a cliché, and fell out of style well before the end of the 18th Century. So, how did the pose come to be associated with Napoleon? Blame it on an artist named Jacques-Louis David. A Scottish nobleman commissioned him to paint a portrait of the French leader. 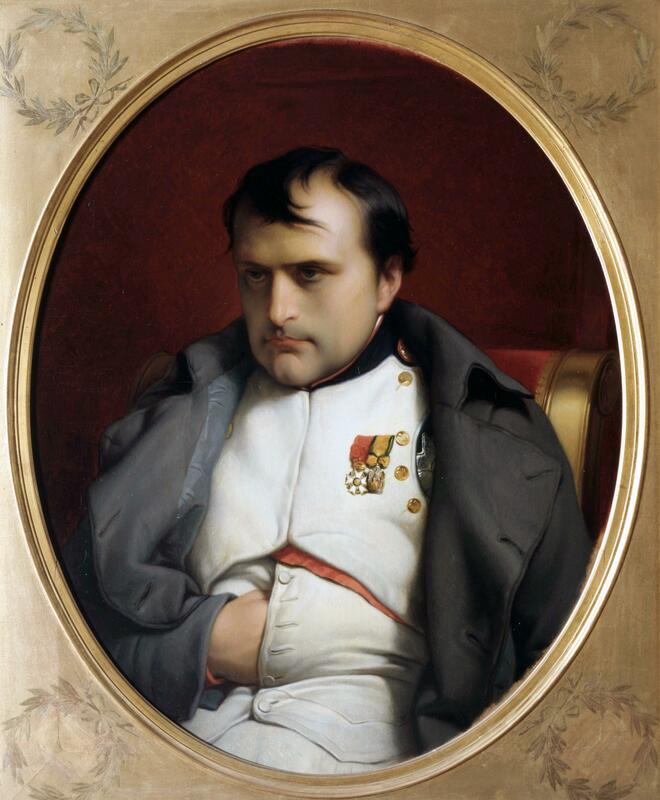 David greatly admired Napoleon and had previously painted him from life. By the time the commission came in 1812, Napoleon’s popularity was declining. So David decided to give him a boost by using the dormant hand-in-coat pose in “Napoleon in His Study” (the famous painting at the top of the page). You got it right, he revived a passe English artistic technique to generate positive p.r. for France’s Emperor. 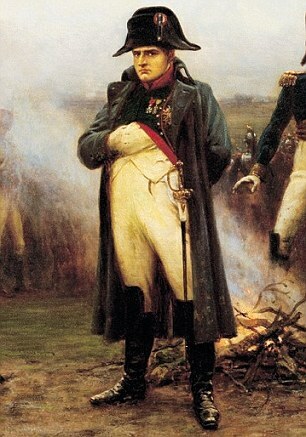 And Napoleon understood the importance of the revitalized pose, too. 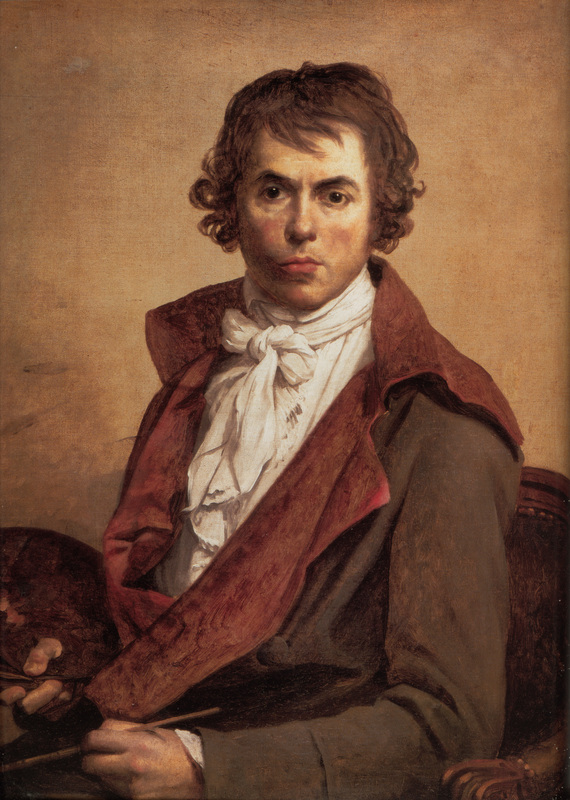 He used it when he sat for many following portraits, and so later artists kept painting him with his hand in his coat. Which breathed new life into the practice just as photographic portraiture was coming into its own. 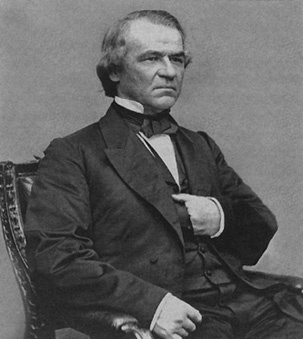 Of the countless presidents, poets, inventors and Civil War generals who sat before Mathew (he only used one “t” in his name) Brady’s camera, a good many of them used the Napoleonic posture. 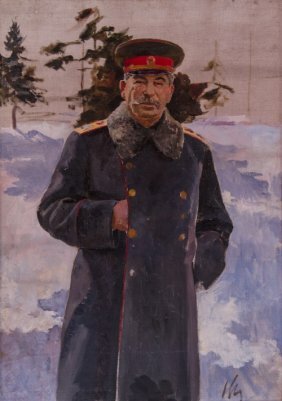 The practice continued well into the 20th Century, with one of the most vile dictators of all time, Josef Stalin, even using it. 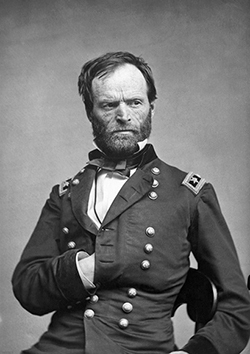 (Although in his case, nobody ever accused him of “manly boldness tempered with modesty.” Bloodthirsty maniacal paranoia, yes; modesty, never.) It seems the Monster of the Soviet Union was the last prominent person to practice it. Yet somehow over the decades, the oils that predated Napoleon and the photos that followed were all forgotten. Hand-in-coat came to mean one man, and one man only: Napoleon Bonaparte. And today, it is almost impossible to imagine him any other way. I am reading “Napoleon: A Life” by Andrew Roberts. Roberts states that Napoleon posed with his hand in his coat to mimic Julius Caesar, a hero of his, and in general it is the way Romans held their Togas.